Toro Rosso has never been a team afraid to do something different, and the Italian Grand Prix highlighted a design lead that has helped its straightline speed performance. Like sister team Red Bull, Toro Rosso has been well aware that the power deficit it suffers means it has to do all it can with its wings to try to help boost its straightline speed performance. While it did not go as aggressive as Red Bull in terms of the levels of downforce it ran at Monza, the team again opted for a unique DRS design element that has played a key part in helping keep it in the fight this year. The DRS pod actuator (arrowed) is different to other teams in that it features a bespoke arch underneath it. Here is an example of a solution that is more commonly used elsewhere. The aim of the Toro Rosso design is to ensure that when the DRS is activated, and the wing flap pops up, it cannot go beyond a certain level. 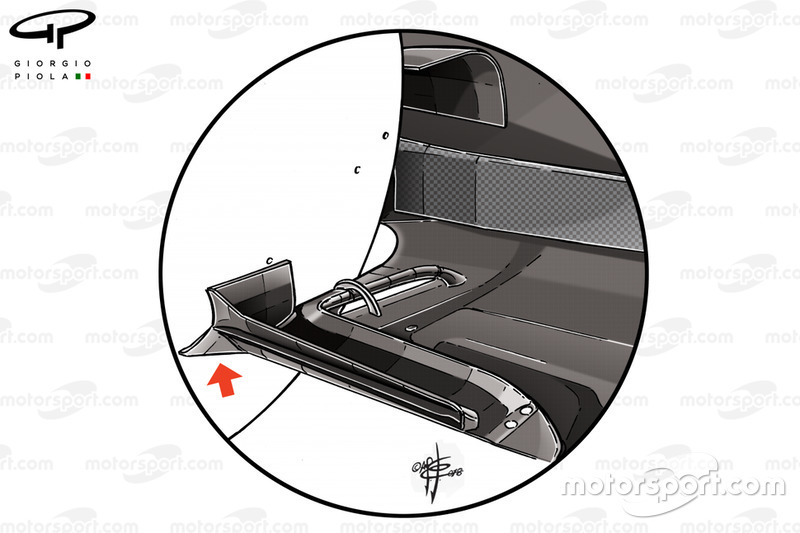 One of the risks, as Sauber found out with Marcus Ericsson’s crash at the weekend, is that if the raised wing flap goes above a certain point, then it can actually start generating lift and so will not close when the drivers wants to deactivate it. Toro Rosso’s design means that the team can be more confident that the wing will stay exactly at the point it wants – so it means it can be more aggressive in the level it is happy to take it to because it knows there is very little risk of a problem. 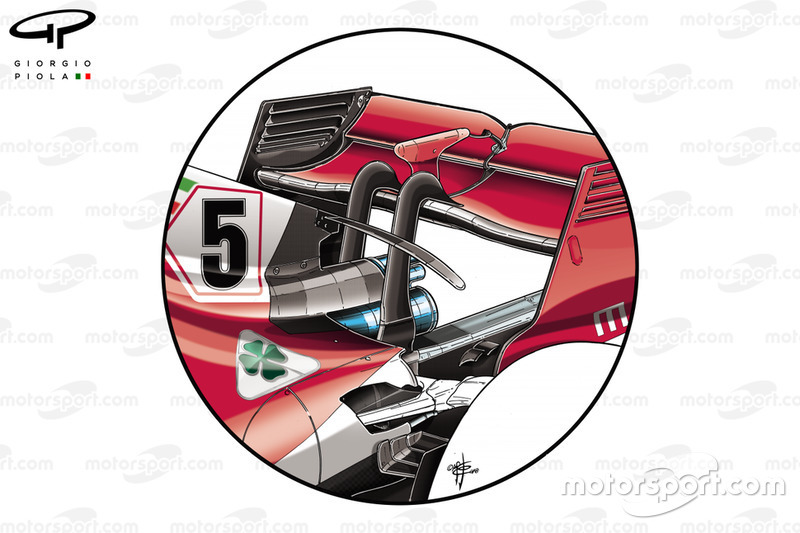 You’ll also note the wing featured three of the open-end style louvres in the endplate that the team pioneered back in 2016 and have subsequently been copied by the entire grid at some point. It is not just in the wings that Toro Rosso has done some interesting things. The area ahead of the rear tyre has become an area of intense development for the entire grid over the last few years, with a plethora of slots, holes, flaps, strakes and various surface geometries used to manipulate the airflow before it arrives at the tyre, altering its effect on the diffuser alongside. More recently Toro Rosso’s floor edge has been extruded upward and features a tail section that abruptly influences the airflow, altering the airflow’s circulation around the tyre.